This is the biggest refugee crisis of our lifetime. Just across the channel there are thousands in desperate need of food, shelter and basic support. The only ones who can make a sustained and lasting difference are volunteers on the ground. 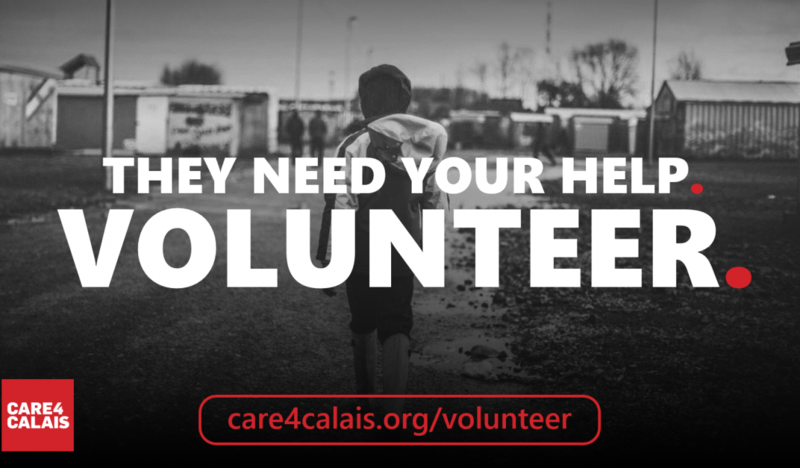 People like you help out every single day, from finding vulnerable people sleeping under bridges and in the rough, to helping with cooking meals in the Dunkirk camp. Please help us SHARE this message. We urgently need compassionate people like you to spread the word and get involved. Thank you.